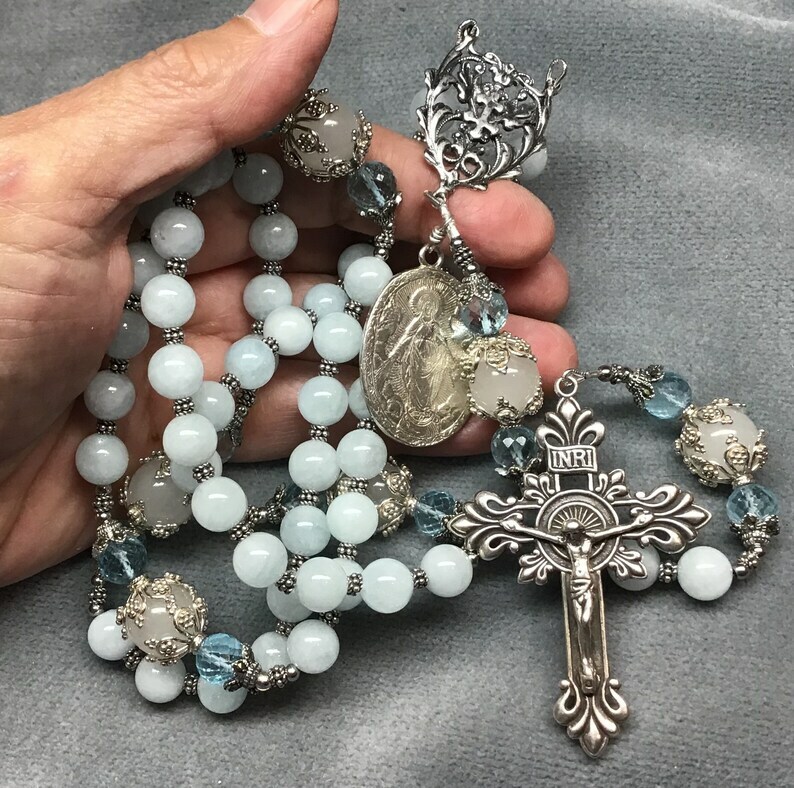 This handmade heirloom Rosary features excellent quality, powder blue Aquamarine Hail Marys, and gem quality Aquamarine flanking Moonstone Our Fathers. 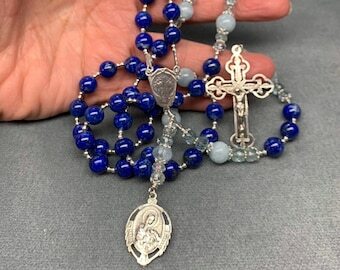 The opaque stones are pale but definitely blue and color is consistent, while the Aquas in the Our Fathers are gorgeous gem quality, beautifully micro faceted. 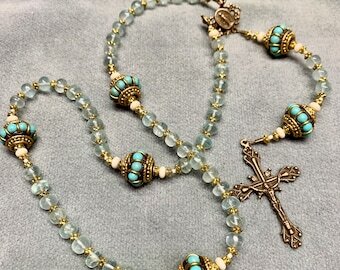 Bead size is a generous 8mm for the Aquamarine, and larger, 12mm Moonstones . All Sterling Bali spacer beads and bead caps add richness. 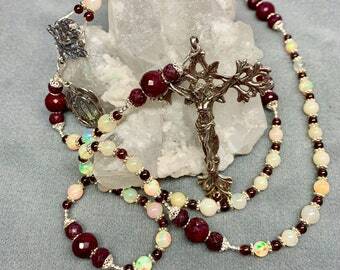 The classic ‘halo’ Crucifix, French Cross center and Blessed Virgin Mary medal have been cast from the antique originals by a skilled US artisan, then burnished to the original patina. It has a nice 'feel' in the hand, and the cable makes it flexible .